I've been eyeballing the Berkey line of water filters for years. Sick of replacing my faucet filter every few weeks I finally bought one. 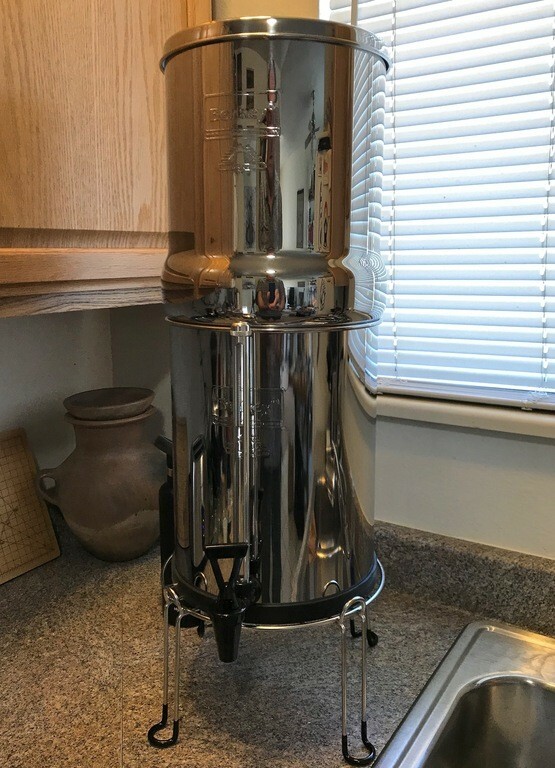 A 3.25 gal Berkey Royal. I've been playing with it for a while now. The initial layout is high but the water quality is excellent. Two black filters come standard. I added two optional fluoride/arsenic filters. The two black filters are good for 6,000 gallons of purified water which translates into 6 - 7 years of daily full capacity use. So figure about $ .02/gal over the life of the black filters. The smaller, less expensive, fluoride/arsenic filters must be changed out every 6-7 months. The number and percentages of contaminants these gravity fed units filter out is impressive. The filters even remove pharmaceuticals. Dissolved minerals remain in the water. It may not be the prettiest thing and it takes up a bit of counter space but it has the biggest bang for the buck in water filtration systems. Portability also comes into it.